After a challenging March, due to Mercury retrograde, you’ll start feeling back on track. Mercury retrograde brings extra challenges for you, Gemini, because this little planet rules your zodiac sign. Now that it’s moving forward once again and the Sun is shining in “take charge” Aries for the first three weeks of April, you may feel tempted to zip around at full speed. If you can hold off just a little big longer, though, your life will unfold more pleasantly. From April 1 through 5, the Moon will be at the close of her monthly cycle as she moves through the balsamic Moon phase. That’s the quietest, most dreamy and mysterious of all the Moon’s many phases – and the best for meditation and introspection. We’ll have a new Moon on April 5, which will open a two week period perfect for new beginnings. With the Sun moving through Aries, your eleventh house of relationships and group activities will sparkle. Pencil in April 5 and the two weeks following to focus on friendships – both making new friends and spending time with longtime pals. It’s also an excellent time to network, join a club, or engage in any kind of activity with a group. With Aries governing this part of your chart, look for leadership opportunities wherever you go. This period also supports all the ways you help make the world a better place by helping others. By volunteering to serve on a board or organize fundraisers or humanitarian initiatives, you can start making more of a difference now. Let go of last month’s sluggishness, get out and circulate, and plunge into whatever excites you most. On April 20, the Sun leaves Aries for practical, physical Taurus. That’s your cue to shift gears and go inward. Make more time to be alone so you can reflect on your spirituality and improve this area of your life. 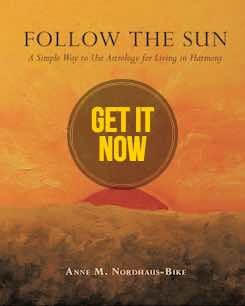 You may enjoy an earthy approach to connecting with your soul such as long walks in nature, walking barefoot on the grass, or meditating outdoors under a tree. Remember that your birthday will arrive soon, so this is an excellent time to review the past year before you envision the new year that will begin at birthday time. Meditating on these topics will set you up for a fruitful new year. This period also can help you make progress on anything related to health, especially if you need extra rest to recuperate. You may find that your dreams become more vivid and that intuitive guidance becomes strong. Heed these sources of wisdom if you need direction in overcoming a health challenge. The full Moon on April 19 will be the second in a row in artistic, beauty loving Libra. Use clues from that period to guide you this time. You may learn important news related to your creativity or an arts project or partnership. If you have children, one of them may have an “aha!” moment or reach a turning point in some aspect of life. This area of your chart also relates to romance, pleasures and hobbies, and stock investments or other speculative ventures, so you could learn critical information in any of these areas. Pay attention to any information revealed during this time. To see your horoscope from last month, go to my horoscope archives. 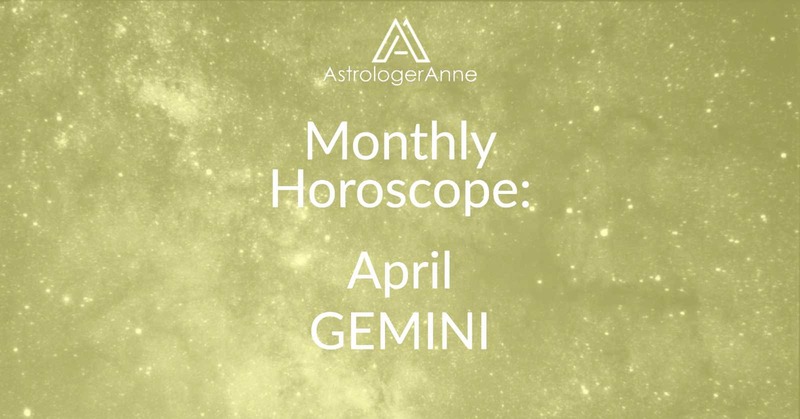 Have a happy April, Gemini! I wish you a wonderful month!